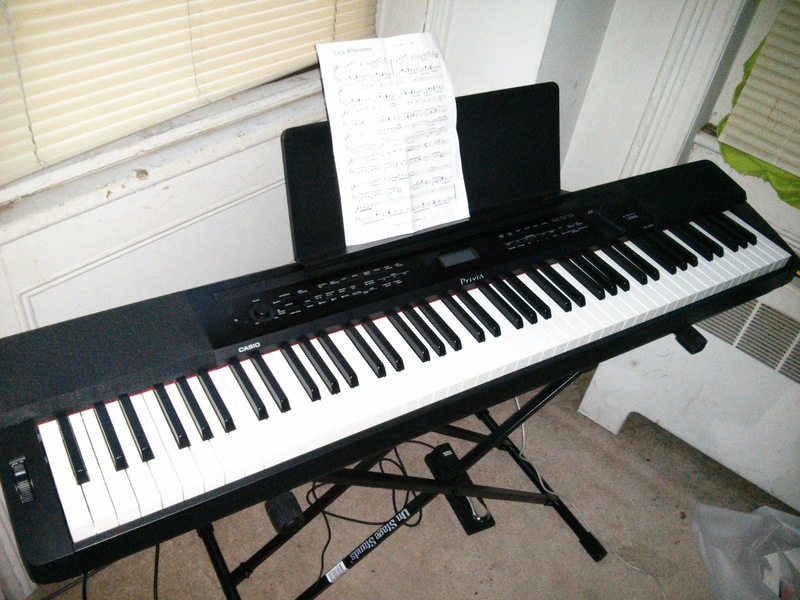 A Digital Piano that features great grand piano feel and sound weights under 30lbs!!! “A high-performance model featuring a new sound source for realistic piano sound that enhances the quality of stage performance and music production”. · 180 Rhythms including ethnic rhythms and patterns for piano play. · Connector for optional 3-pedal unit, which supports half-damper pedal operation. - USB port on the front. Buying a digital piano is an investment specially when taking into consideration that you will be spending $500+ dollars on one. I was leaning towards getting a Yamaha p155 but I didn’t want but I didn’t want to fork out 1G on a product that is going on 5 years old. Specially being that the Yamaha will most likely put out a successor to the p155 within the next 2 years. This is what pushed me to the Casio. In all honestly I do not regret my choice at all. Casio has really put in a lot of work of rebuilding its name with its Privia line of keyboards and it really shows with the PX-350. The audio quality is really nice even with the built in speakers. The feel of the keys are the best I have used on a digital piano under $1500 (they don’t have that plasticy feeling that you get with others in the price range. Other manufactures should use the PX350 or even the 150 (the px-150 is basically the base model of the 350. It lacks the display 2 speakers, some of the voices, as well as other luxuries. But it does have the same keys and grand piano sound. ) as a base of what a digital piano should be. If there was something I really don’t like about this digital piano, it would be that it seems over-complicated to use a lot of the features. It could have been much simpler…. For more info or if you have questions or concerns feel free to ask away just leave a comment or message me.